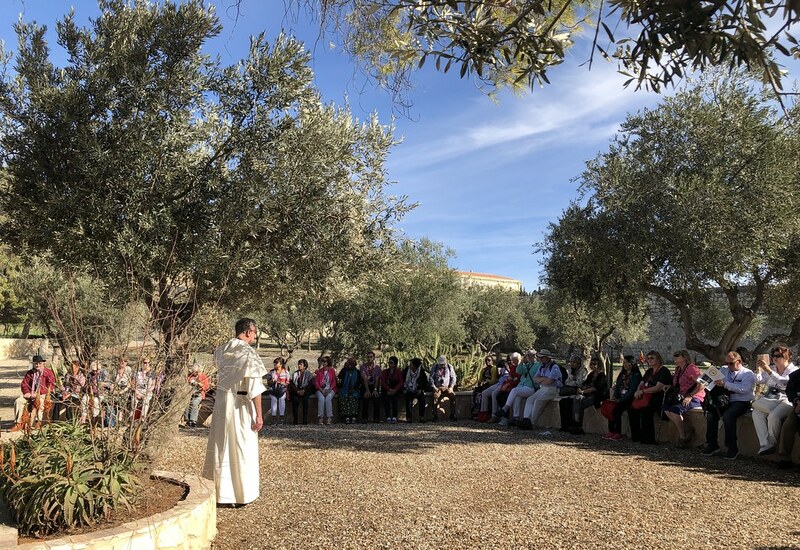 On the last day of the pilgrimage, as the pilgrims continued walking in the footsteps of the Lord, Bishop John Wilson explains how this experience has changed them all. We began our seventh and last full day of our 2018 Holy Land pilgrimage with a short coach journey to the Church of the Our Father on the Mount of Olives. 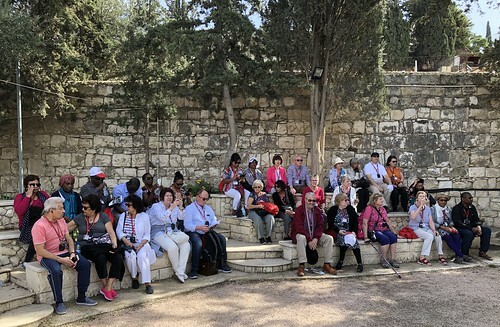 This is the site marking where the Lord Jesus taught his disciples to pray. We gathered to reflect on this beautiful prayer of the Christian family. 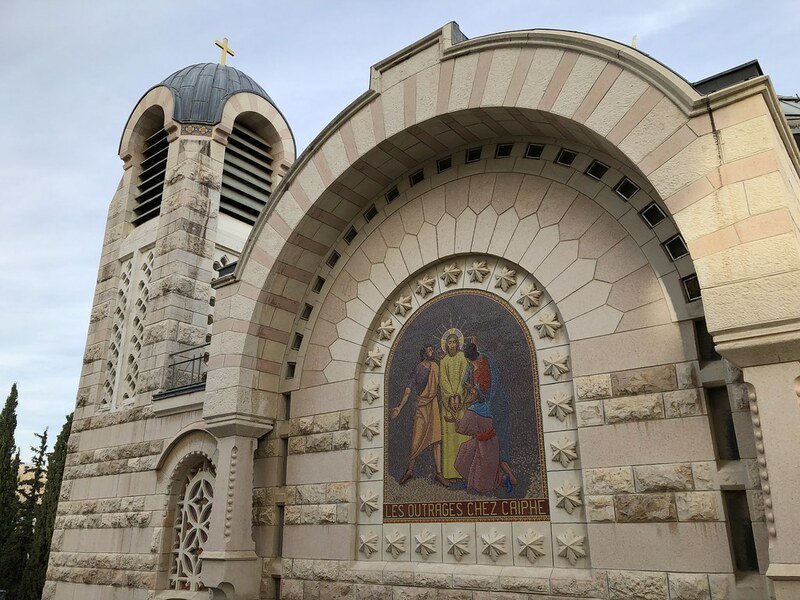 We then visited the church and its precincts which has the Our Father inscribed in over one hundred different languages on ceramic tiles. Jesus gave us this simply prayer to say at any time, in any location, whenever we need to lift our hearts and minds to God. 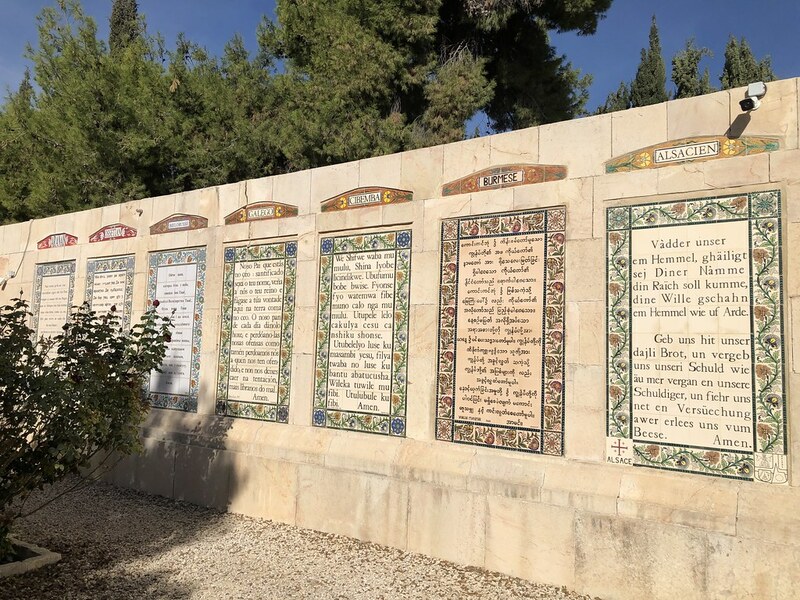 From here we walked the way of Jesus towards the Garden of Gethsemane, crossing the Kedron Valley as he would have done. As we descended the panoramic views of Jerusalem were breathtaking. 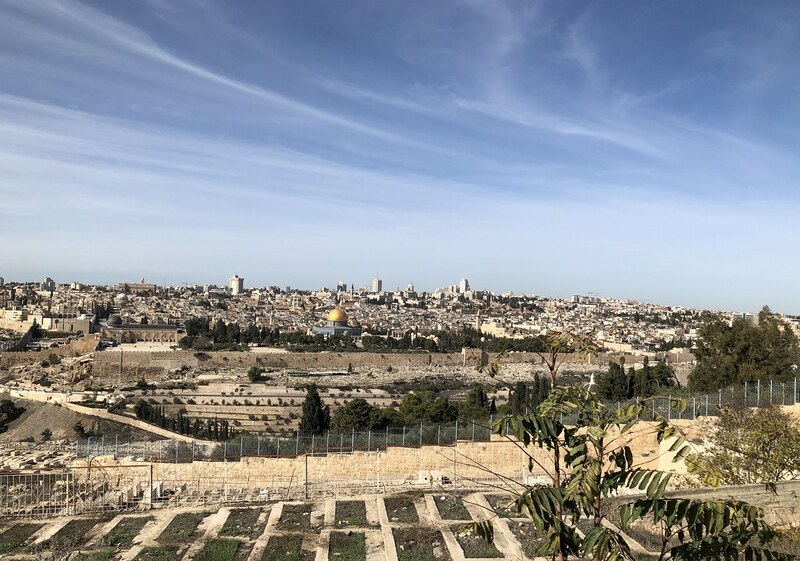 At the bottom is the Garden of Gethsemane and the magnificent Church of All Nations. 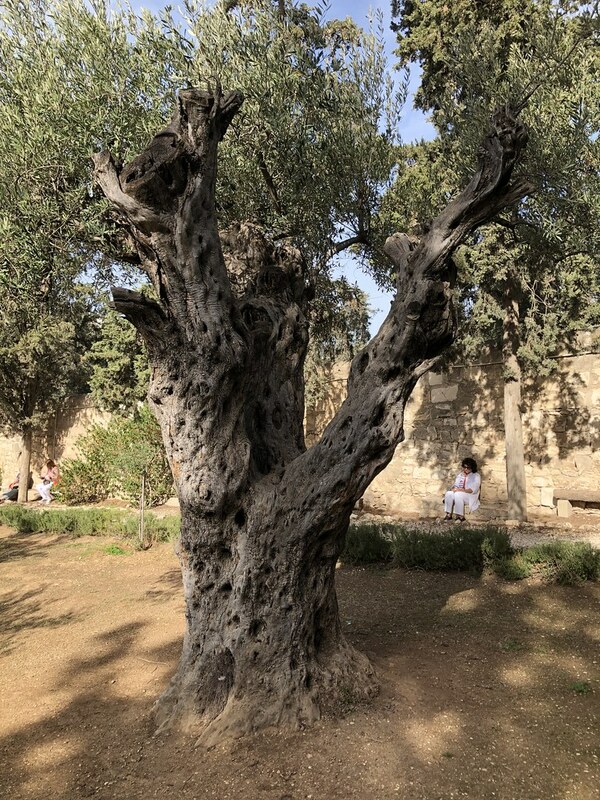 The olive trees are over two thousand years old and would have been there in the time of Jesus. Fr John Farrell OP led us in a moving mediation on the significance of Jesus giving himself over to his Father’s will. Whatever we face, and whatever is asked of us, we pray for the grace to know and do God’s will for us. This is the source of our peace. 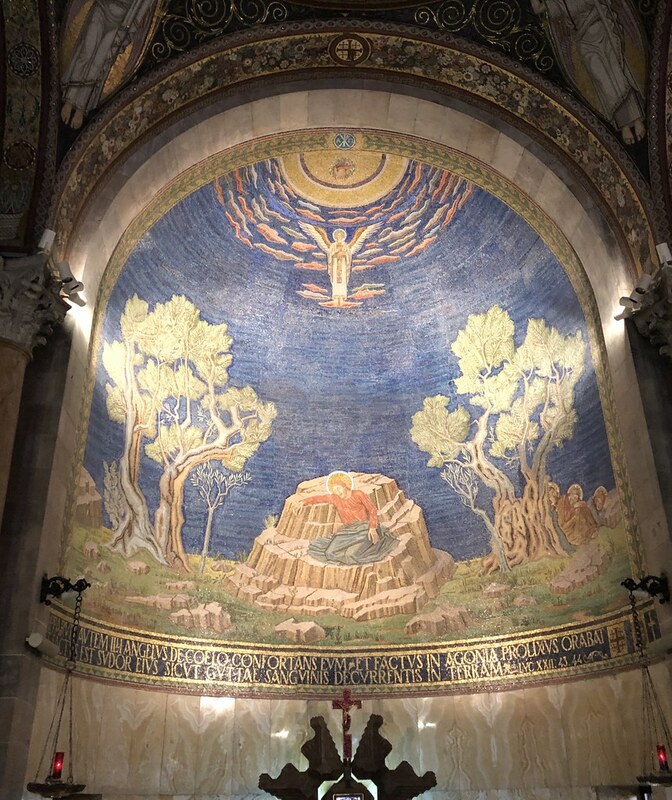 In the church, beneath the altar, is the large, flat rock believed to be the place of Jesus’ agony in the Garden. After lunch we visited the Abbey of the Dormition, the church marking the end of Our Lady’s life. In the Eastern tradition this is described as her ‘falling asleep.’ In the Western tradition it is her assumption into heaven. Both express different aspects of the same event, namely that Mary, when her earthly life came to its close, was taken up to the glory of heaven where she intercedes for us now. 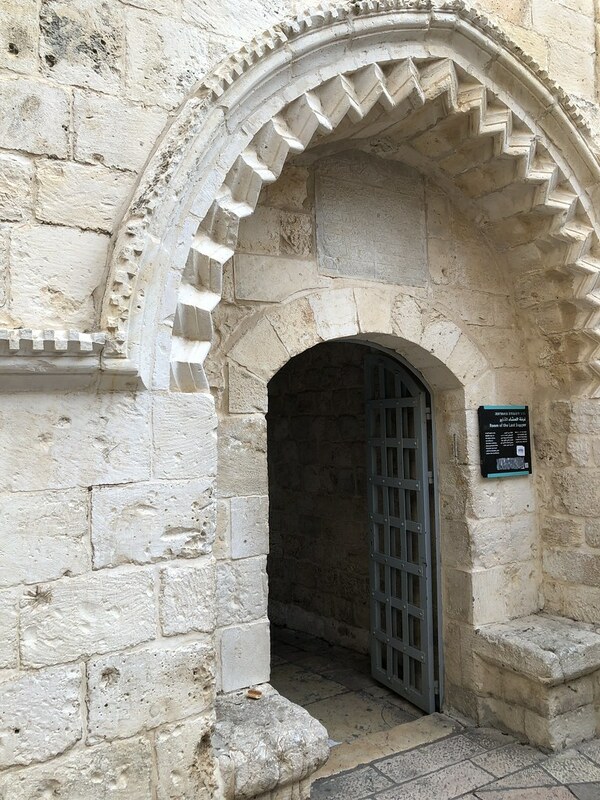 We walked to the place commemorating the Upper Room, the Cenacle. This is not the actual room or site, but symbolically recalls the event when Jesus instituted the Eucharist the night before he died. 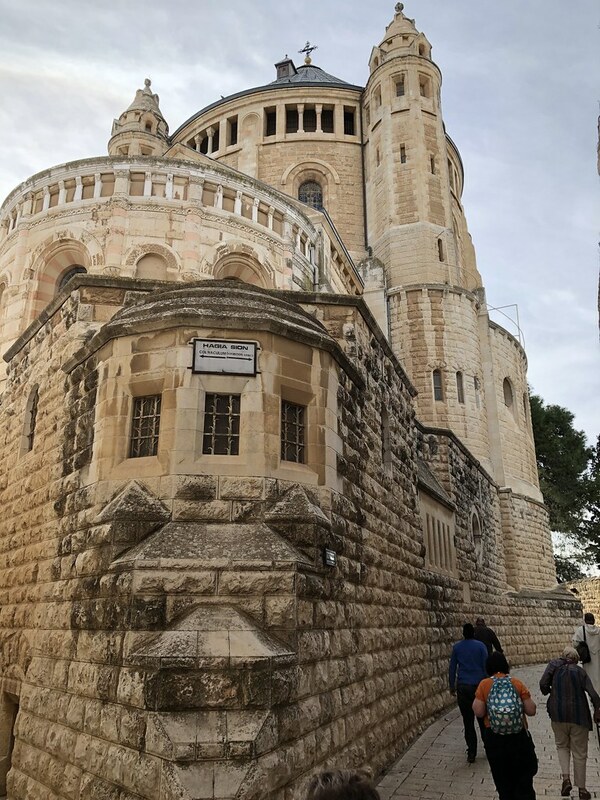 A short coach ride took us finally to the Church of St Peter in Gallicantu, built over the house of Caiaphas the High Priest. It was here that Jesus was imprisoned. It’s also where St Peter denied three times the he knew Jesus and was his disciple. We celebrated Mass in the magnificent church and then visited the foundations underneath. The rooms, carved out of the rock, were a dungeon in Jesus’ time. He was held there and the route he would have taken is still visible today. Also visible in the rock are the places where ropes would have been tied to hold up prisoners for flogging. We prayed for all those imprisoned and tortured, including Christians persecuted for their faith. Dusk was now setting over Jerusalem bringing the lights of the city to life and our final day to a close. Tomorrow we will travel to the airport for our flight home, but via Emmaus where we will celebrate our final Mass together. It was on the road to Emmaus that two disciples met the risen Jesus. He explained the Scriptures to them. They recognised him in the ‘breaking of bread. And they set off back to Jerusalem to share the news that he was alive, their hearts burning within them. This has been our experience this past week. What graces and blessings we have received which we now take to share back home. Additional photos from Day 7 are available here.